Join QEdge Technologies Attend A Demo Class. 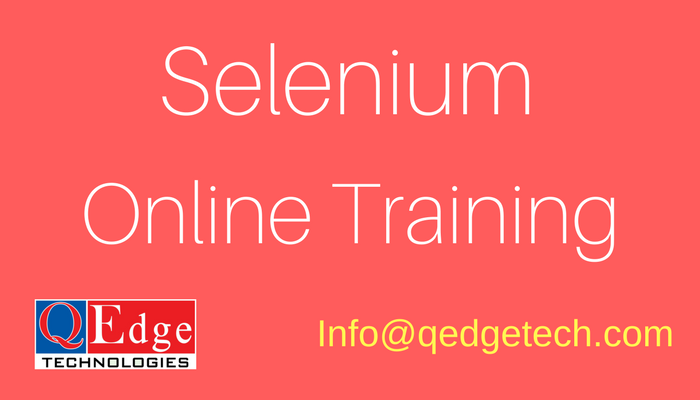 If you like the Demo Then Only..You can Take Online Selenium Training. Our Trainers Assigns you Some Real Time Testing Tasks if you practice those regularly... you can get job any where. Selenium IDE is a transferable Software Testing Framework for Web Apps. Selenium provides a recording tool for managing tests without learning a Programming Script language. It also provides a test domain-specific language (Selenese) to write tests in a number of popular programming languages, including Java, C#, Groovy, Perl, PHP, Python and Ruby. The tests can then be run against most modern web browsers like Chrome, Safari, Opera, Mozilla Firefox, Android, Microsoft Edge. Selenium deploys on Windows, Linux, and Macintosh platforms.